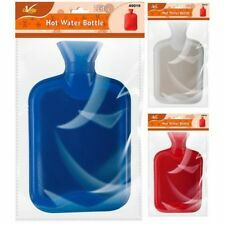 GENERISE 2 LITRE HOT WATER BOTTLE. 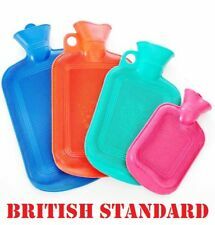 2 Litre Hot Water Bottle. Ideal for cold nights and mornings. SNUGGLE UP WARM. The ILEX works to extend the properties of the three analgesics contained in Biofreeze. 2 X Biofreeze gel 4oz/118ml 4 travel sachets = complete. Our Nicest and most Powerful (100mA) TENS unit. Its simple to use. 2 Electrode Pads for each channel. It has dual Channels. This Unit is New. 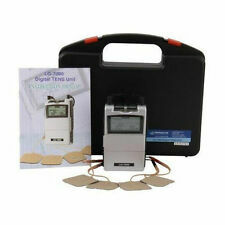 Electrical Stimulation Massage Tens Unit 7000 Machine Muscle Therapy Pain Relief. Warmies Plush are a range of different fully microwavable soft toys. Simply warm them in a microwave for 90 seconds to release the wonderfully warmth and soothing lavender aroma. Simple to use - just warm in a microwave Can be reheated thousands of times Surface clean with a damp sponge Suitable for ages 3 Product Code: 21482. Warmies Plush are a range of different fully microwavable soft toys. Simply warm them in a microwave for 90 seconds to release the wonderfully warmth and soothing lavender aroma. Simple to use - just warm in a microwave Can be reheated thousands of times Surface clean with a damp sponge Suitable for ages 3 Product Code: 29885. 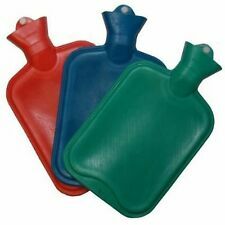 Makes a Great Gift This is a classic ribbed rubber hot water bottle which is contained in a soft knitted type covering that even has pockets in it to slide your hands into. Conforms to all the latest BS testing ensuring safety and peace of mind. Warmies Plush are a range of different fully microwavable soft toys. Simply warm them in a microwave for 90 seconds to release the wonderfully warmth and soothing lavender aroma. Simple to use - just warm in a microwave Can be reheated thousands of times Surface clean with a damp sponge Suitable for ages 3 Product Code: 29882. Warmies Plush are a range of different fully microwavable soft toys. Simply warm them in a microwave for 90 seconds to release the wonderfully warmth and soothing lavender aroma. Simple to use - just warm in a microwave Can be reheated thousands of times Surface clean with a damp sponge Suitable for ages 3 Product Code: 24108. Muscle spasm and pain. Bruises and swelling. Ideal for body parts such as ankle, back, knee, wrist and elbow. 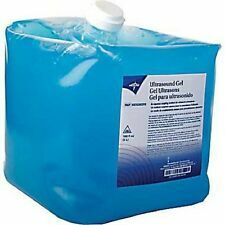 Gel remains flexible when FROZEN and does not sag when HEATED. Contour gel technology allows for gel to comfortably mold to the body. Adults and children 12 years of age and over: 50 mg (1 to 2 caplets). Take every 4 to 6 hours. Do not take more than 6 doses in 24 hours. -Itching of the nose or throat. -Runny nose. Temporarily relieves these symptoms due to the common cold. But don't think that these luxurious slippers, manufactured in a gorgeous plush finish, are 'just for girls'. Warmies Slippers Cream Microwaveable Adult UK Size 3-7. All our products are very well made and the result of an almost insanely thorough design process. Intelex are proud to present the first ever fully microwavable Shaun the Sheep™ Soft Toy. This cute character is manufactured in super soft high quality fabric and is as popular as ever with all ages. Product Code: 15246. New & latest design. With CE Mark. (2) Gel Filled Migraine Wrap By Evriholder, Teal, New in Box. Release tension, reduce stress, and find natural pain relief with this soothing migraine alleviating gel wrap. An adjustable elastic strap securely holds the pad in place for a secure custom fit. Keep one and give one as a gift. Dynamik's premium hot and cold disc shaped gel pack is tailored to fit around a knee or elbow while still allowing free movement. Luxury hand wash micro-fleece. 6 Temperature settings. Automatic safety switch off. Overheat protection. Great Range of Products. We will always do our best to resolve any issues. Genuine & Authentic. But don't think that these luxurious slippers, manufactured in a gorgeous plush finish, are 'just for girls'. Warmies Slippers Brown Microwaveable Adult UK Size 3-7. All our products are very well made and the result of an almost insanely thorough design process. WE WILL SEND ONE RANDOM COLOUR. COLOUR MIGHT VARY! The first ever fully microwaveable Shaun The Sheep heatable Soft Toy. Warm Shaun in the microwave for up to 2 minutes and then snuggle up with him so he can relax, soothe and comfort you when you're feeling weary or cold. Microwaveable and re-usable. Sure-Thermal feature a range of products designed with affordability and comfort in mind whilst still giving you the flexibility to wear on the go. You can even add a sense of fashion with the wide variety of bright graphics and different fabrics available. Hot and cold physio wheat bag with adjustable Adjustable for different size waists. Can be used for back pain, period pains or anywhere requiring localised pain relief. 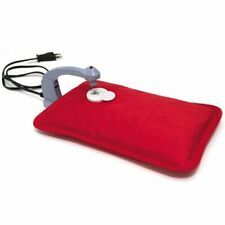 Patented heat cells penetrate deep into tissue, increasing blood flow to stop pain and accelerate healing. - Up to 16 Hours of Pain Relief. Vast majority of the products will arrive anywhere between 4 to 7 weeks if not sooner. Large soft cushion toy. Has an opening at the back for PJ's or hot water bottle. In very good used condition. New, Factory-Sealed Bottle of Diphenhydramine Caplets, 25mg, 100/btl. Adults and children 12 years of age and over: 25 mg (1 to 2 caplets). Take every 4 to 6 hours. Do not take more than 6 doses in 24 hours. In order to prolong the life of the cover, hand wash in tepid water and mild soap then drip dry. • Molded, leak proof, seamless rubber bottle. • Embossed surface, with new screw-in plug closure. Warmies Cozy Dogs Charles. Available in three popular designs and manufactured in high quality soft fur material. We are committed to ensuring that your information is secure. In order to prevent unauthorised access or disclosure, we have put in place robust physical, electronic and managerial procedures to safeguard and secure the information we collect online.